T-Dog and I went to McDonald’s for morning break. 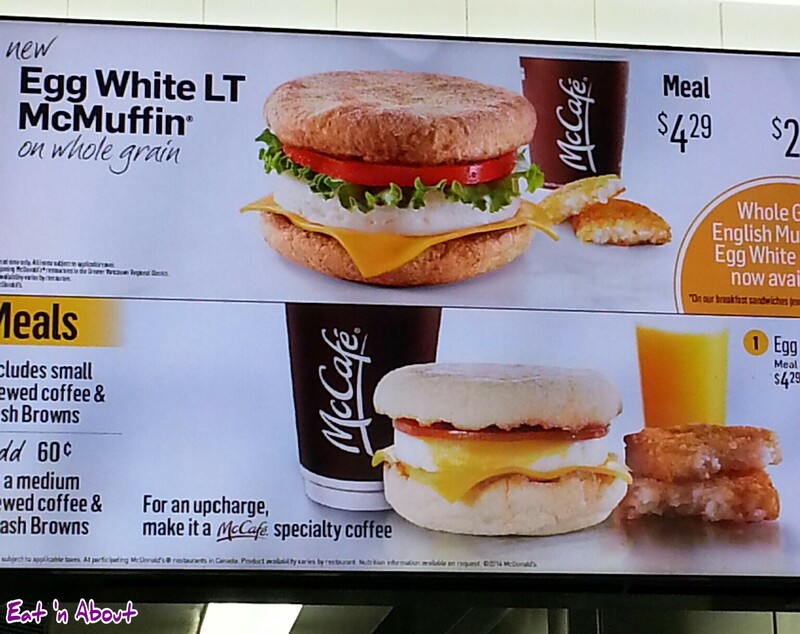 We were super excited and ecstatic to see that they now offer whole grain McMuffins AND egg whites, which you can get in the form of an Egg White LT McMuffin sandwich. So of course we both ordered it. The english muffin was hard as a rock, as you can see in the video. 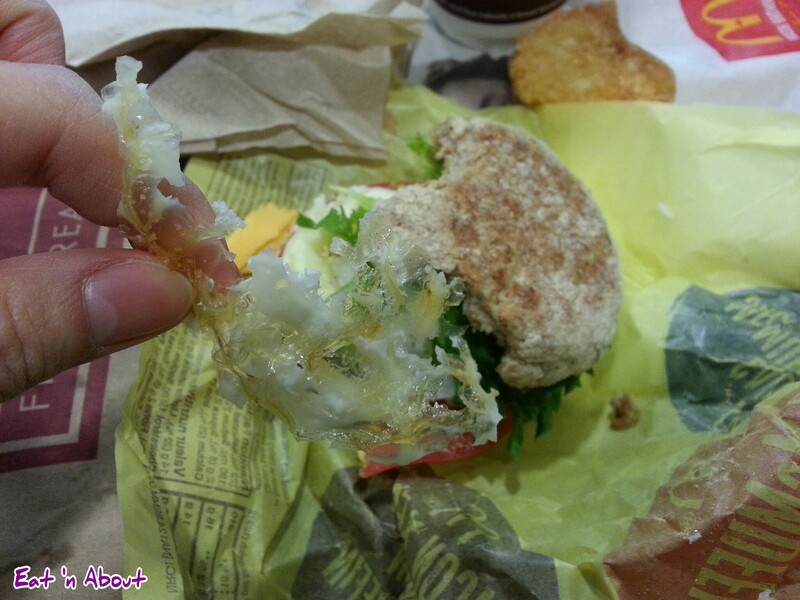 Also, the egg white looked like it was deep fried. It was so bubbly and had a kind of dried up “rind” which could not be chewed or bitten through. The lettuce was also brown around the edges. Oh, and the sandwich was very, very small. 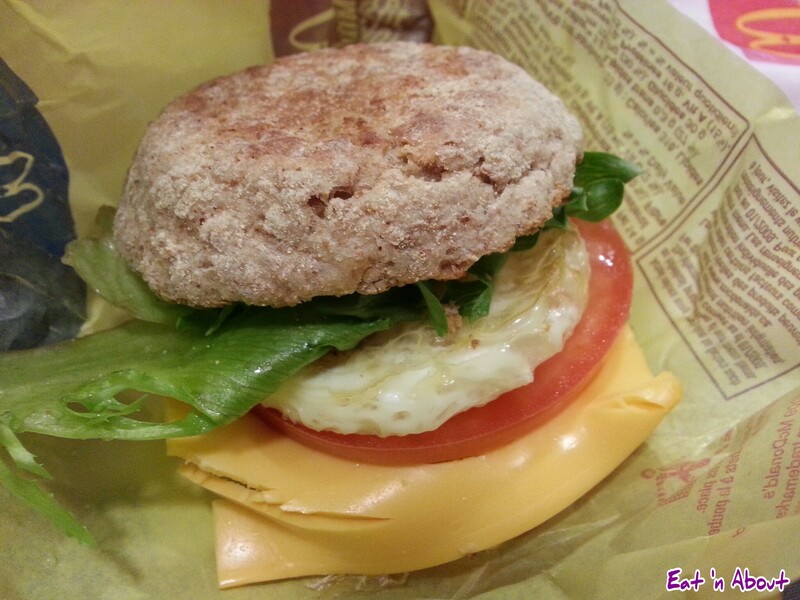 Now I was disappointed, but also surprised at the quality of the McMuffin since the location we went to was actually the Vancouver Head Office located in Burnaby, so you would think if any location was to have the best quality, it would be here! Also, I don’t see why not all McDonald’s employees know that you CAN in fact get skim milk in a regular coffee, that it’s not just limited to the specialty coffee drinks. I’ve had to fuss with that more times than necessary. Oh well, I hope this was a one time thing…I might give the Egg White McMuffin a try again next time; maybe it’ll be better. However, T-Dog’s sandwich was just as bad. I think they might need to not skimp on the egg whites so much. Previous PostWe got a makeover for Valentine’s Day!